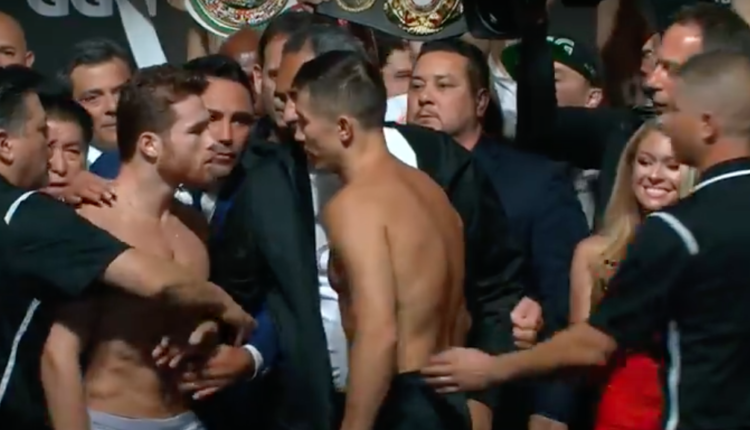 As reported this week, the WBC will allow Canelo Alvarez to make a voluntary defense of his middleweight title following his September 15th win over Gennady Golovkin, but there is a catch. Alvarez, who looks to return in December to face David Lemieux, must then face the winner of a mandatory title eliminator fight between former champion Gennady Golovkin and interim WBC champion Jermall Charlo. While Golovkin may balk at fighting anyone but Alvarez in his return in 2019, Alvarez may simply relinquish the title and set up for a third fight with GGG. Canelo’s promoter Oscar De La Hoya has set a target date for an Alvarez-Lemieux fight, but may need to be delayed due to a cut over Alvarez’ eye suffered during the Golovkin fight in September.